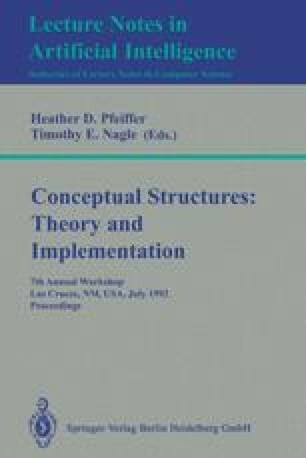 Sowa's conceptual structures work is broadly framed in terms of logic, linguistics, knowledge representation, conceptual analysis and mental models. Recently the CG representation has been proposed as a normative language for metalevel descriptions of traditional data models by the ANSI Information Resource Directory System (IRDS) working group (X3H4). This paper explores some issues that arise from attempts to use ontologies and “crystallized” representations to perform such things as data model translation and integration. Issues and alternate views that grow out of Sowa's knowledge soup metaphor are described and a functional architecture is proposed that addresses some of these issues. The notions of model knowledge as a dynamic and cognitive construction based on contexts is developed and combined with the idea of global workspaces.